Put an Arts degree to work! Want more information about Applied Communication, Leadership, and Culture? Leave your email address and we'll get in touch! 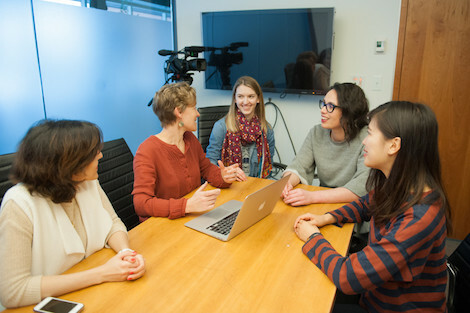 The Applied Communication, Leadership and Culture program explicitly connects the communication skills and leadership training of a Liberal Arts education to successful post- graduation employment. This program is defined by its focus on the transferability of the written, oral and visual communication skills, the critical thinking, and the cultural awareness acquired during a Liberal Arts education to the world beyond academia. Technical skills, work-integrated learning (internships, cooperatives, workplace-generated projects), and career-related mentoring are key components of its design. Additionally, either UPEI 1020 OR UPEI 1030 should be taken as a co-requisite. The minor program will require a total of 21 semester hours of program-specific courses. All of the following courses are required for a Minor in Applied Communication, Leadership, and Communication. English 1010: Academic Writing and either UPEI 1020 or UPEI 1030 should be taken as co-requisites.